Squash Blossoms . . . Finally! I was finally able to get my hands on some squash blossoms at the Larchmont Farmer’s Market on Sunday. I only grabbed enough for one recipe, so I will be sure to stock up on them this weekend. Caldo de Hongo y Flor, Broth with Mushrooms and Squash Flowers from Michoacán. The broth calls for chicken stock, but you could easily use a vegetable stock and have yourself a vegan soup. 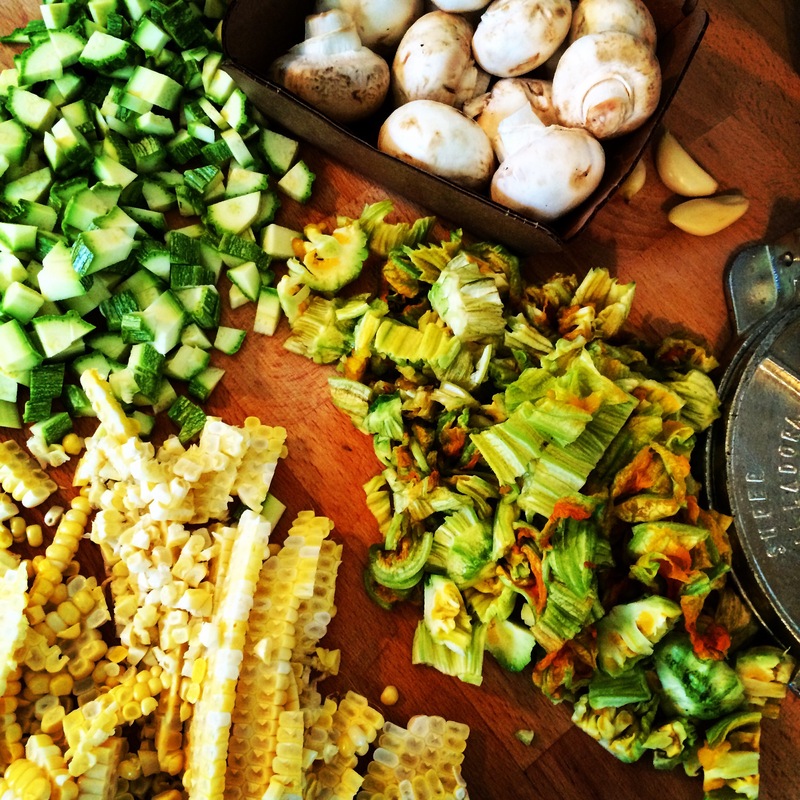 The dish had zucchini, onions, squash flower, corn and a ton of mushrooms. I was a good preparer and cut everything I was going to need first. This time consuming step is so helpful for me not to feel stressed while the cooking is going on. These recipes are always adding ingredients in, minutes apart, needing to be stirred or watched. Kennedy recommended cooking the veggies separately to get more flavors out of them and I think it made the soup even tastier. And again, I roasted the poblanos perfectly! I was able to peel the skins, take out the seeds and veins with such ease. Way better than my corn tortilla skills at the moment. 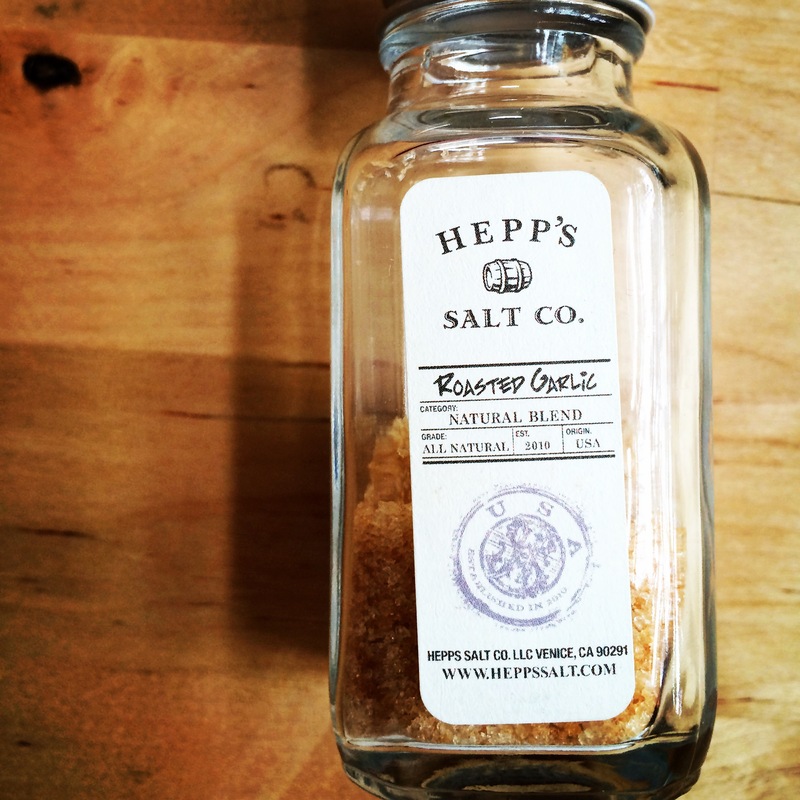 I added some Hepp’s Garlic Salt to the soup because who doesn’t love more garlic. This company is awesome and sells at the Larchmont Farmer’s Market. We always buy the multi-pack when we go. We currently have the White Truffle, Habanero, Applewood, Chipotle and the Aussie Flake. Amazing. I also threw in some avocado because everything is better with avocado. This soup was pretty out of this world for how little seasonings and ingredients there were. Beauty is in the tastebuds. Looks amazing!! I Wish you had made it when you were in town!